detector | Where is @rusnivek? Even during a power outage, this still has to work! 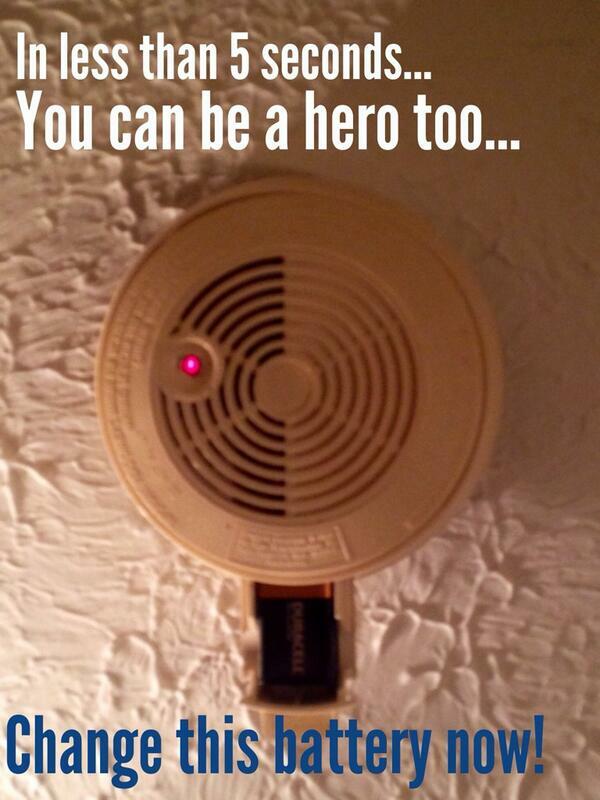 So be a hero and change the batteries in your smoke detector twice a year. Be Ready and start here! 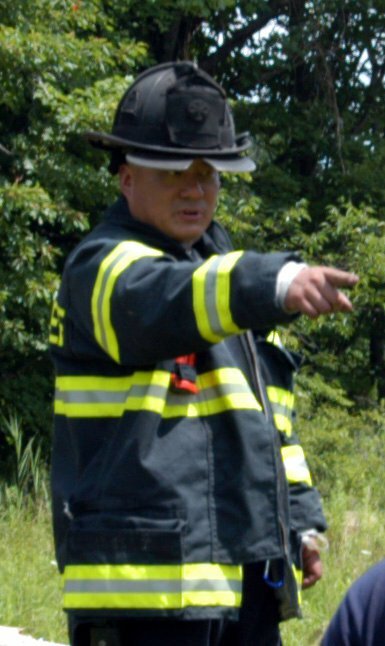 Don’t forget, its National Fire Prevention Week! Make sure you test your smoke detectors! If needed, change your battery too! 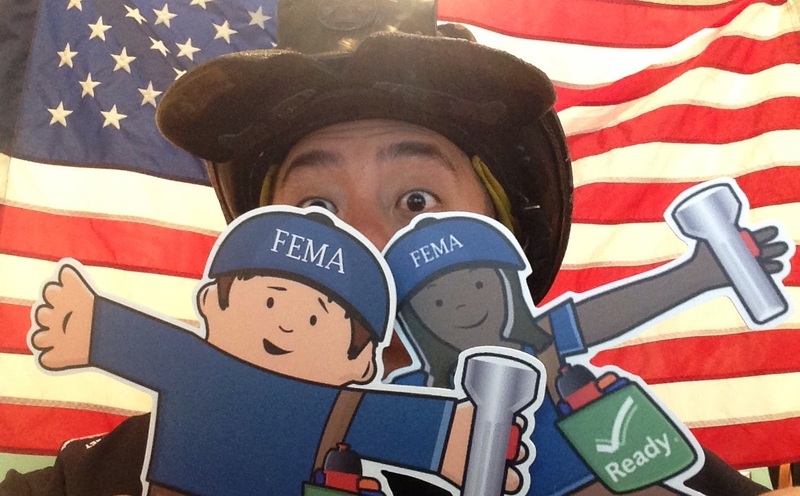 It is Tuesday and the final day of 2014 National Preparedness Month. In honor of National Preparedness Day, we had two special visitors at our fire station. 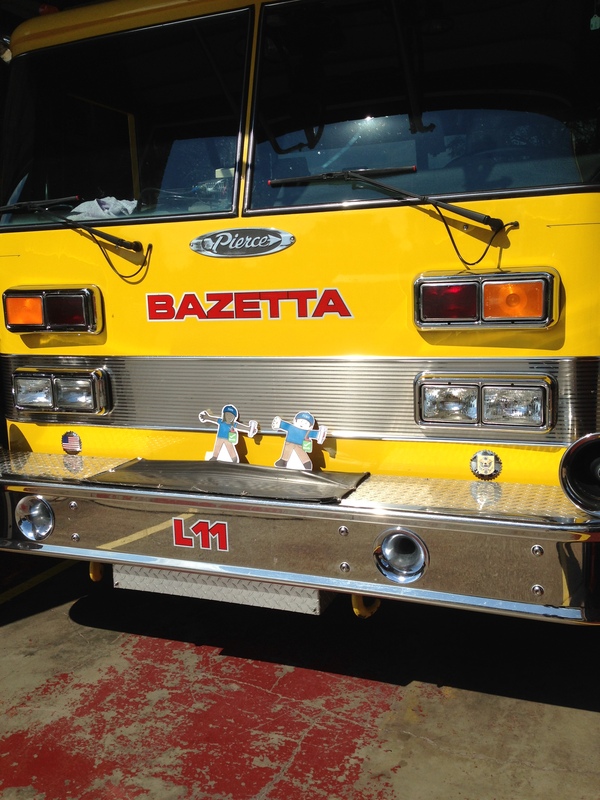 Flat Stanley and Flat Stella stopped by for a quick visit and tour. They wanted to see if all Firefighters and Paramedics were participating and prepared as part of September’s 2014 National Preparedness Month which was held all month long. 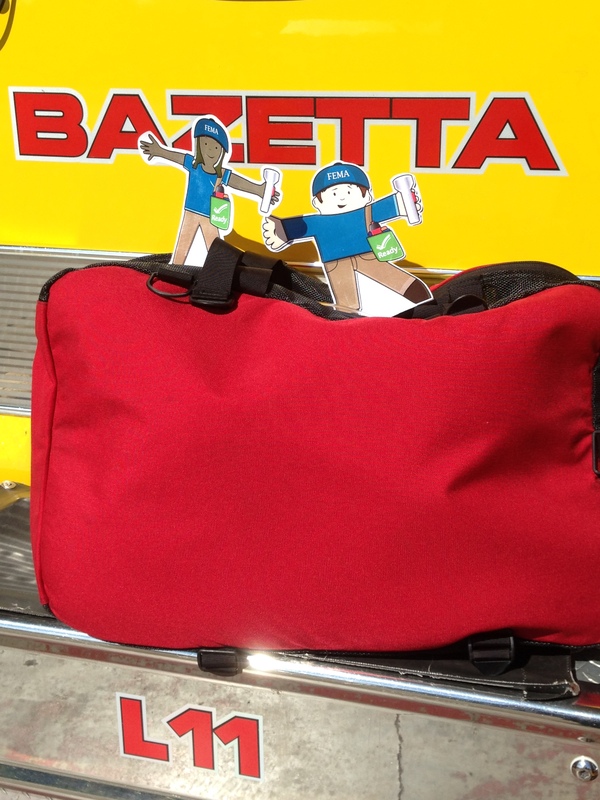 Both Flat Stanley and Flat Stella checked our Emergency Preparedness Kit in Ladder-11. Flat Stella asked to see our emergency contact list as well as my new smoke detector. As you can see, our emergency contact information is contained in the Vial of Life Program. And smoke detectors are always free from the fire department. 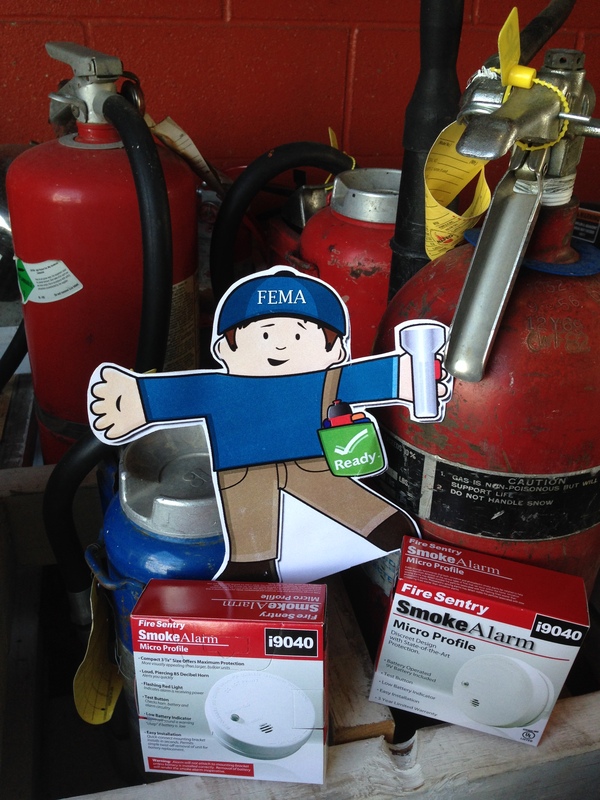 Flat Stanley made sure these were fresh fire extinguishers and they were ready to go. Both had an awesome chance to take a ride in BFD Ladder-11. 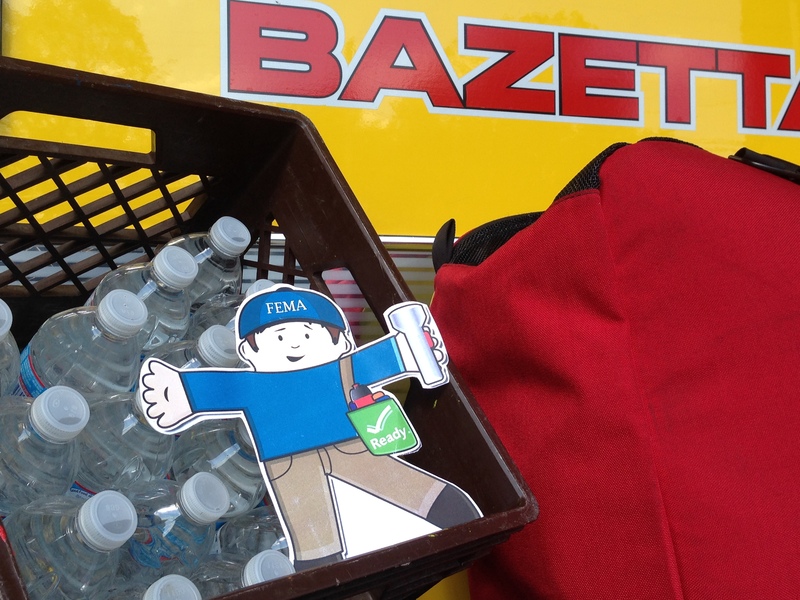 Special thanks to the Federal Emergency Management Agency’s Ready.Gov program. Also thanks to the Department of Homeland Security (DHS), Federal Emergency Management Agency (FEMA), FEMA’s Ready.Gov, Ohio Department of Public Safety (ODPS), Ohio Emergency Management Agency (OEMA), and the Trumbull County Emergency Management Agency. What a month! 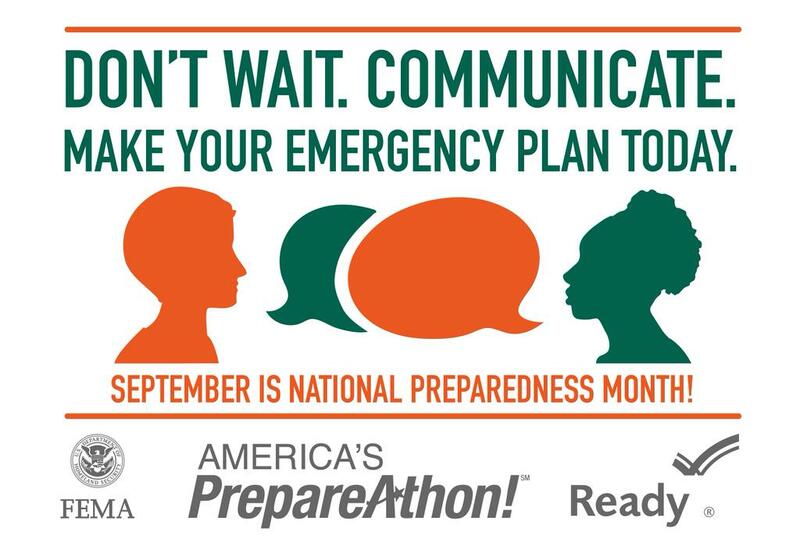 I’m proud of everyone who participated in National Preparedness Month and extremely happy that everyone is more prepared for any emergency or disaster. Twice a year, moving our clocks ahead/behind one hour for daylight savings time provides all of us public safety the opportunity to push an easy fire safety tip to our constituents. It’s a good time to remind folks to test their smoke alarms. 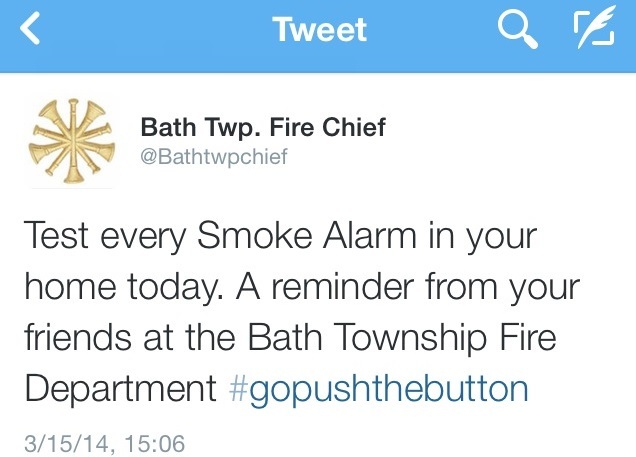 That’s what BTFD FC did when they posted this message on twitter, which included the #gopushthebuttton hashtag. Keep in mind that Twitter’s mantra is short concise messaging limited to 140 characters. The idea behind a hashtag is to pair your tweet with other tweets out in the twittersverse. So I did a quick search for #gopushthebutton and found only one tweet from BTFD FC. 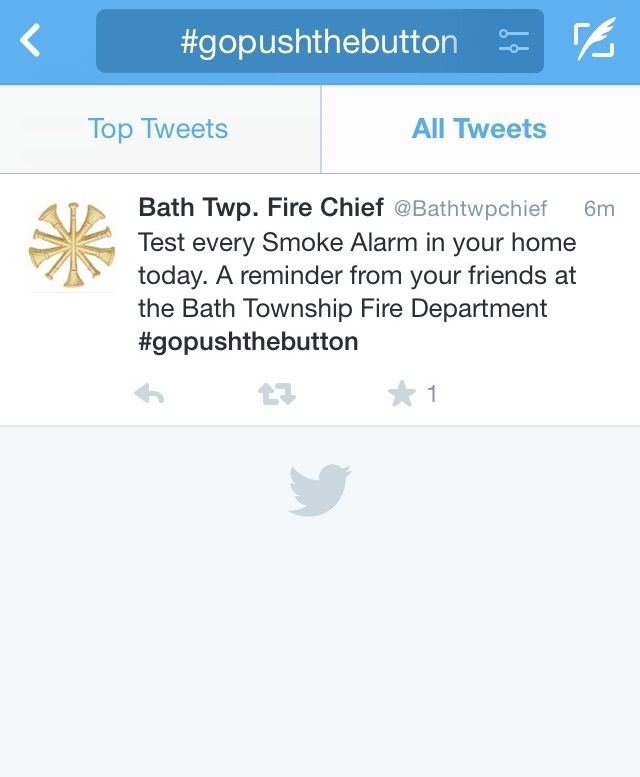 With no other tweets using that hashtags, using #gopushthebutton was just wasted characters. If you use irrelevant or made up hashtags, all you end up doing is wasting valuable space. Long tweets do not allow your followers the room to retweet your valuable content to their followers because of 140 maximum character counts. 1. 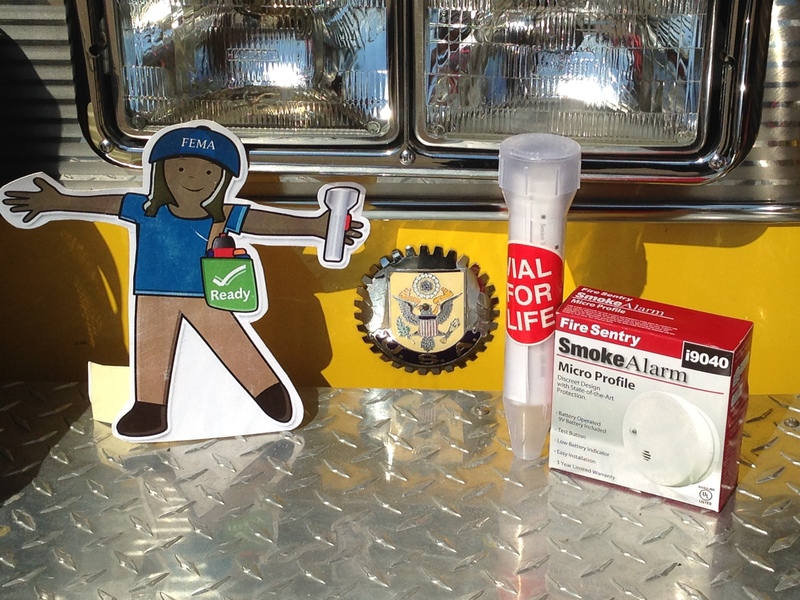 You have more visibility by reminding your followers test both smoke and CO detectors. 2. Twitter shows your twitter handle and name with the tweet, so don’t waste space by repeating information already in plain sight. 3. Do not use a made up hashtag as it will confuse your followers. In a serious tweet, use a serious hashtag. 4. Using the word “easy” will likely get your followers to complete a task because it’s easy. 6. Reference your website for more information on detectors. 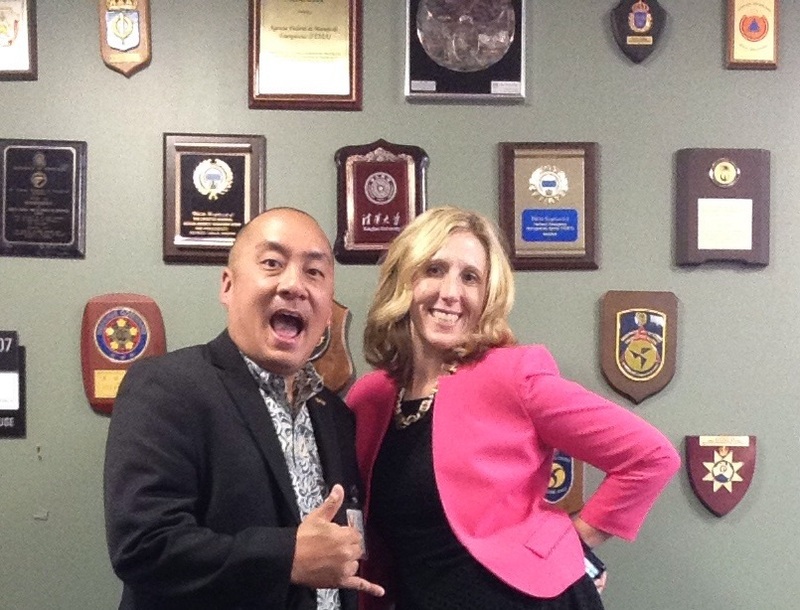 Also you are establishing your agency as a trusted source with good information. And through analytics, you can also track how many people visited your tweeted website which could assist in quantifying your social media efforts. Time is valuable, so tweet good stuff. If you haven’t, then get on it right now! 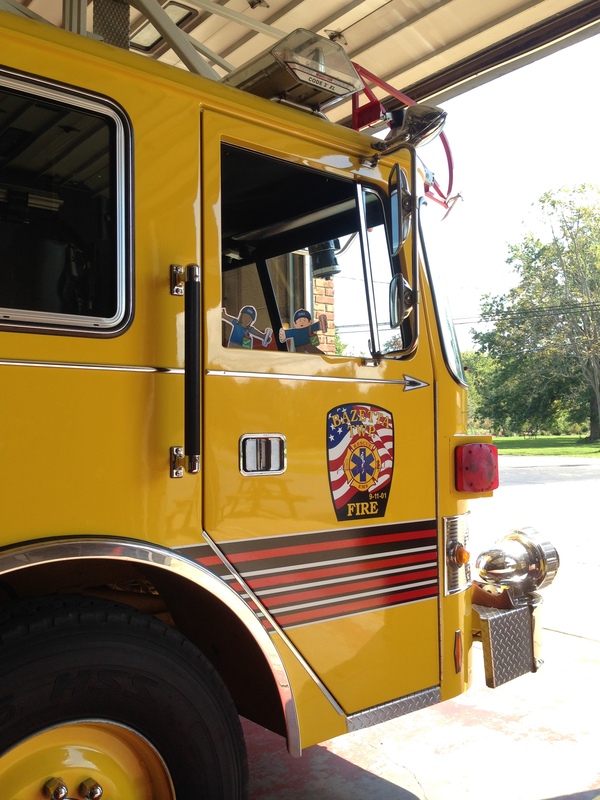 Why should you have a working smoke detector?